Families from all over Ipswich and Springfield flocked to Torhaven, Defence Housing Australia’s (DHA) latest development in Deebing Heights for a free family fun day, celebrating the opening of a new $2 million dollar park. On Saturday, February 9, Torhaven Park played host to more than 600 members of the community who enjoyed family-friendly entertainment, free food and treats. Children were delighted to play in Torhaven’s new adventure playground featuring slides, swings, spinami and a treehouse network connected by rope bridges, climbing frames and rock climbing walls. There was also a visit from the Queensland Fire Service from Ripley who come along to show all the children their fire truck and let them spray water out of the fire hose. 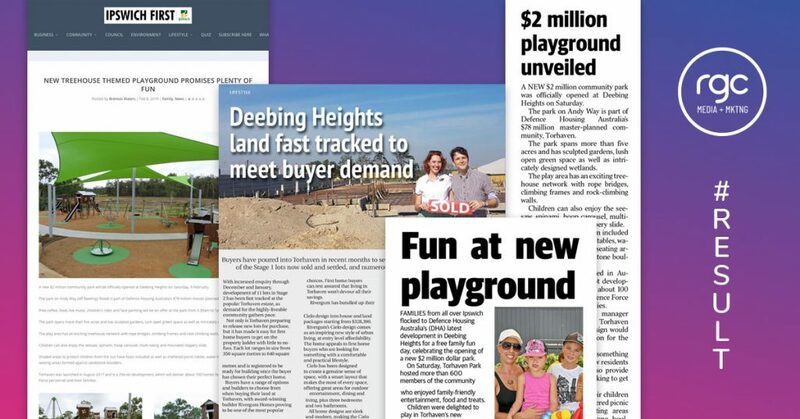 DHA’s Development Manager Meaghan O’Shea said the event was a great success at showcasing the new parklands as a fabulous space for families to come together in Deebing Heights. “It was important for us to let the Deebing Heights community know that while the park is a part of our Torhaven project, everyone in the broader area can enjoy the benefits it provides,” she said. Torhaven’s parklands are a natural landscape spanning 22,000 square metres of sculpted gardens, open green space and intricately designed wetlands. Torhaven Park features an exciting treehouse network with rope bridges, climbing frames and rock climbing walls. Children can enjoy the seesaw, spinami, hoop carousel, multi-swing and mounded slippery slides. Located off Andy Way, Deebing Heights, the parklands provide an oasis for birdlife with a wetland full of native plants and trees. The area was designed to mimic natural waterways, including shaded creek beds and riverbanks constructed out of boulders sourced from the site. For more information and to keep up to date with news and events visit www.torhaven.com.au and like us on Facebook www.facebook.com/torhaven. Torhaven is a beautiful new parkland community occupying one of Deebing Heights’ most appealing, elevated locations. 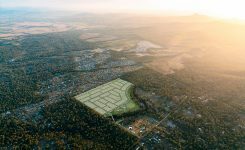 Spanning 27 hectares with over 20 per cent green space, Torhaven is being developed by Defence Housing Australia and marketed by Oliver Hume. When complete, Torhaven will comprise 294 home sites and two major parklands. The first stage of 96 lots is now complete with over 70 per cent of retail lots sold, and new homes now under construction. Another 11 lots in stage two have just been released for sale to the public. Greg is a Content Specialist and brings to RGCMM a wide knowledge base covering media, marketing, social media and public relations. Greg studied journalism and communications at university and spent the years since working in a diverse range of industries in both private and not-for-profit sectors, including local government, sport and property development.